In 2018, Rosenblatt advised on $38 million in financing for investment research distribution platform Visible Alpha. Goldman Sachs’ Principal Strategic Investments group led the funding round, which brought in new investors including Exane BNP Paribas and Banco Santander’s Santander InnoVentures. Rosenblatt also advised electronic market maker GTS, the largest designated market maker at the New York Stock Exchange, on its acquisition of Cantor Fitzgerald’s ETF and wholesale market making business. Rosenblatt further advised AI chatbot developer LodeStar Ecosystems on a growth investment from a capital markets fintech fund managed by London-based Seismic Foundry. 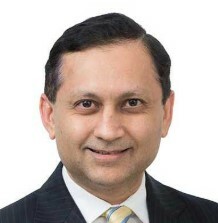 Shah stresses his group’s strength as a “connector of dots.” He expects to see more consortium deals like the one that won his client Thesys Technologies the U.S. Consolidated Audit Trail contract in 2017. Beyond bringing two or more sides to the negotiating table, Rosenblatt also connects the wider community at its annual Financial Technologies Summit.